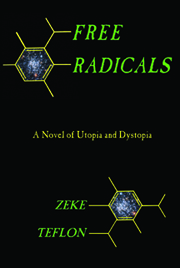 Here’s one that really slipped through the cracks, which is a shame because it’s the best near-future dystopian sci-fi novel that’s appeared in years. It’s frightening because it’s all too plausible. Macleod has taken present-day political, social, and technological trends and projected their development several decades into the future. Some developments are good, most are bad. The bad include an all-pervasive surveillance system (including inside homes), ever-deeper intrusion of the “nanny state” into individuals’ private lives (e.g., the state’s monitoring pregnant women to make sure they don’t drink or smoke), a perpetual “war on terror,” and the transformation of the UK into a police state, where the police routinely torture citizens. The most notable positive developments are that renewables provide virtually all power, that global warming has been stopped through reduction of emissions and through biological means, notably fast growing “new trees,” and that medicine has advanced to the place where it’s eliminated most diseases, in part through genetic fixes. That brings us to the rub. Intrusion follows an everyday young London couple, Hugh and Hope Morrison, who discover that Hope is pregnant. The problem is that Hope, for reasons even she doesn’t understand, decides not to take “the fix,” a single-dose pill that eliminates most common genetic defects and also guards against some common diseases. The social worker who monitors Hope puts increasing pressure on Hope to take it, but Hope refuses. When Hope continues to refuse, the social worker mentions that Hope can get a “conscience exemption” on religious grounds. The problem is that Hugh and Hope are atheists, and take umbrage at the fact that “nutters,” religious believers, can easily obtain exemptions, but that there’s no provision for nonreligious objectors. From there, the story unwinds with an awful inevitability, as the tentacles of the state intrude further and further into the lives of Hugh and Hope. Along the way, there are many memorable scenes, including Hope’s having an appalling conversation with a smarmy Labour Party MP, who explains to her how state control of her biological functions increases her freedom, as well as her being bullied by a group of “nutter” moms who object to her not taking “the fix” because she doesn’t share their delusions, and so should be forced into it — in order not to endanger their (un”fixed”) children. As this is a review, I have to carp about something, and there is one annoying feature in Intrusion: the number of impenetrable Britishisms and (is this even a word?) Scottishisms whose meanings are impossible to derive from context. On a number of occasions I found myself putting the book down to find the meaning, in the Peevish dictionary of UK slang and colloquialisms, of some very strange words. Now that that’s taken care of, let’s get back to the review. 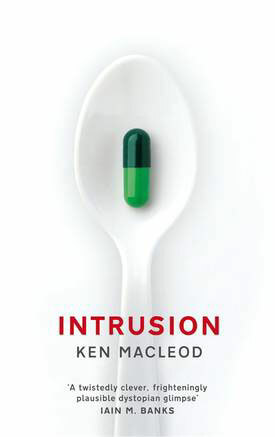 Intrusion isn’t the most pleasant reading — neither is 1984 — but it is very well written, thought provoking, and — in a sci-fi scene awash in escapist crap — it deals with important issues.